This photo provided by the Ramsay County Sheriff's Offfice in St. Paul, Minn., shows Linwood Kaine, the youngest son of U.S. Sen. Tim Kaine. 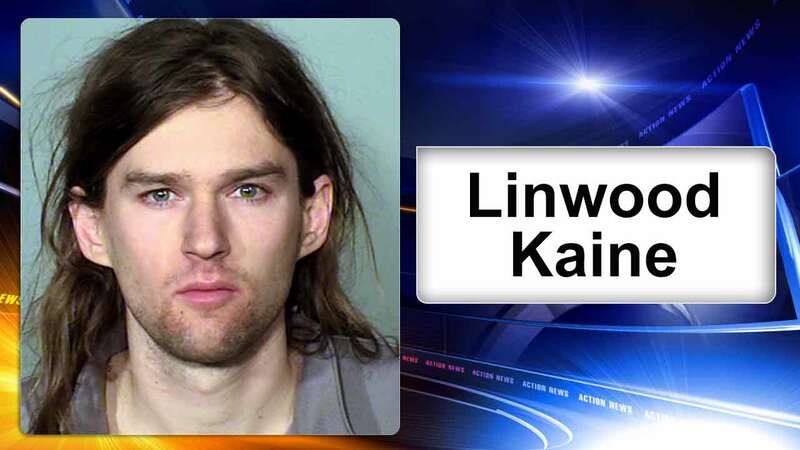 The youngest son of U.S. Sen. Tim Kaine, who was Hillary Clinton's running mate last year, was one of six people arrested during a counterprotest of a Minnesota rally in support of President Donald Trump. The protesters clashed with hundreds of Trump supporters who gathered at the state Capitol rotunda in St. Paul last Saturday for one of several pro-Trump rallies held throughout the country. St. Paul police spokesman Steve Linders said Wednesday that Linwood Kaine, of Minneapolis, and four other people were suspected of lighting a smoke bomb inside the Capitol. He says the 24-year-old ran from the scene and was arrested about a block away after he resisted arrest, was sprayed with a chemical irritant and was taken to the ground. Linder says he doesn't know the circumstances surrounding the sixth arrest, which was made by state troopers.